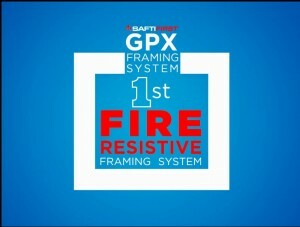 GPX Framing System Video. 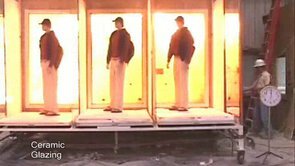 USA-made fire resistive framing explained. What’s Fire Rated Glass? Learn the difference between fire protective and fire resistive glazing in this short video. Clear Solutions. View a video showing SAFTIFIRST‘s complete line of SuperLite and PYRAN Platinum fire rated glass products. 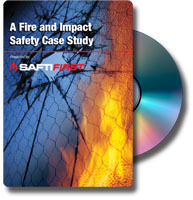 Fire Rated Glass: Fire and Impact Study Part 1, Part 2. A San Francisco school takes steps to safeguard its students from the dangers of wired glass. The Dangers of Unsafe Wired Glass. 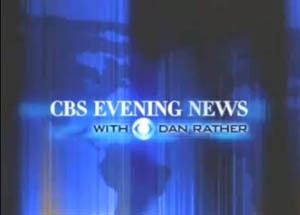 CBS News reports on injuries caused by traditional wired glass that is NOT safety glass. Radiant Heat: The Invisible Killer. 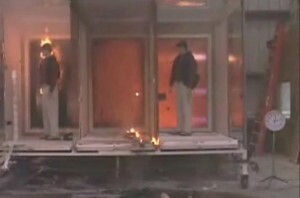 A test that demonstrates the ability of various fire rated glass to block dangerous radiant heat. Can You Feel the Heat? Learn via video the differences between fire protective and fire resistive glazing.